 There are 9 alerts for this place. 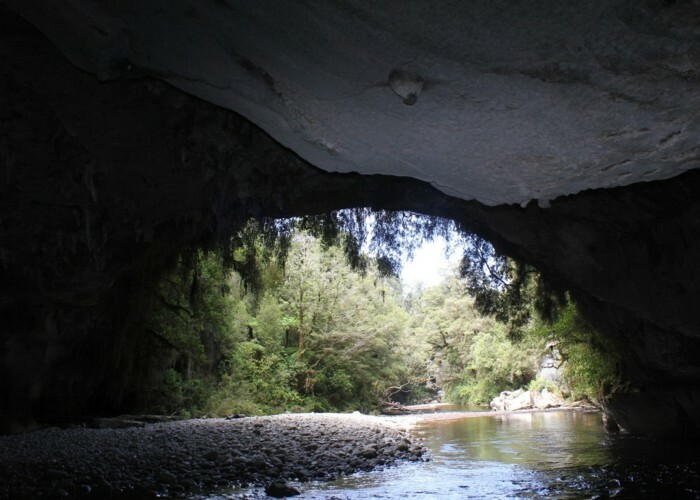 New Zealand's second largest, and youngest national park, dating from 1996. A large area of land at the top of the South Island with some easier and some more challenging walking along lengthy tracks. Home to the most diverse flora of any national park and a diverse array of landforms, including the famous peneplain remnants. The Tasman Wilderness Area is located here. Highest point: 1875m (Mt Owen). Moria Gate Arch • By Matthew. Licence: C.
Added 10 June 2006 by MatthewMatthew. 2 revisions, most recently 27 September 2011 by iangeorgeiangeorge.